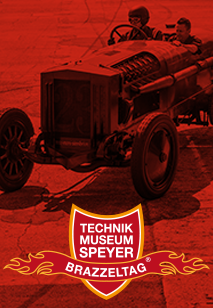 In 2010, the Technik Museum Speyer took over the whole inventory of Wilhelm Groh’s Friedel Münch Museum located in Walldorf near Heidelberg. 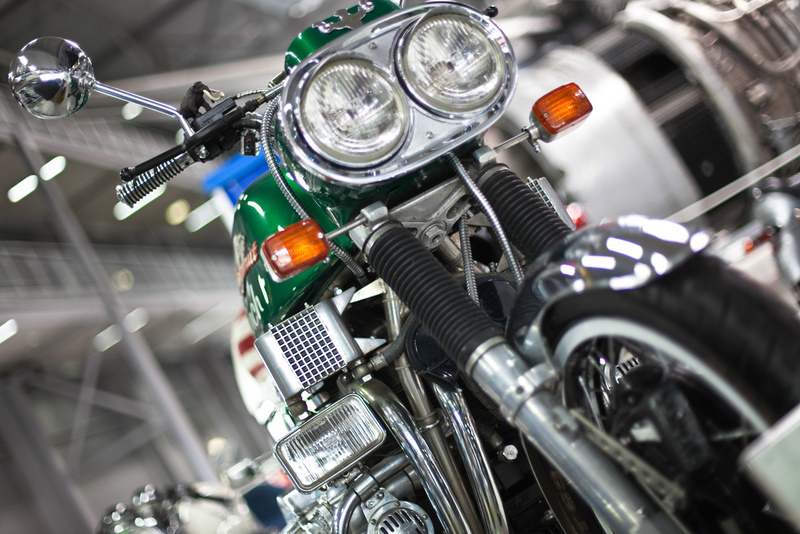 Amongst the numerous exhibits are 26 laboriously restored Münch motorcycles built between 1967 and 1999. 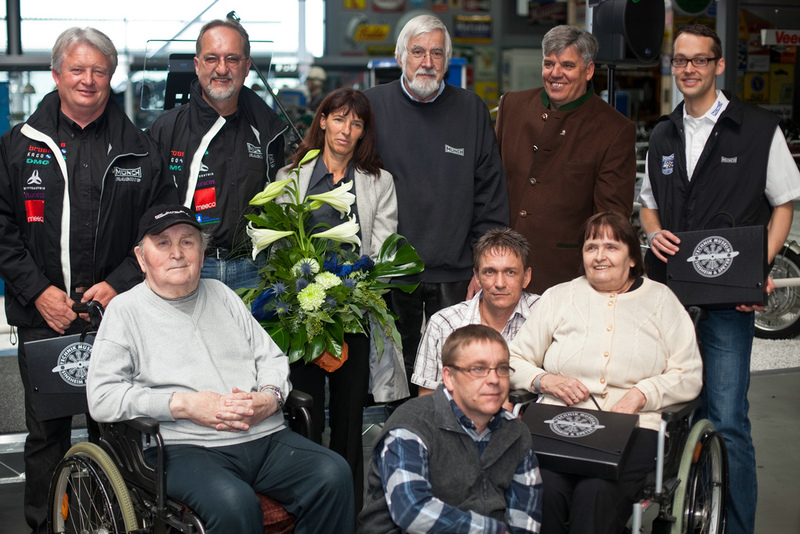 The collection centered on the legendary motorcycle designer Friedel Münch has now found its new place in the Space Flight Hall of the museum. Friedel Münch, a true visionary of motorsports, first repaired motorcycles in his father’s workshop and later started to build his own bikes. Driven by his passion for motorsports it was his challenge to set new standards in motorcycle design. He was the first motorcycle engineer who ventured to use a 4-cylinder car engine for building a street motorcycle with unprecedented power, the first true “Big Bike” in the world. Friedel Münch wished to give his bike, the most powerful and with a top speed of 180 km/h also the fastest motorcycle of its time, the name “Mammoth”, but unfortunately this designation had already been reserved by another manufacturer and therefore could never officially been used. However, in spite of this for all Münch fans the Münch-4 motorcycle is the “Mammoth”. 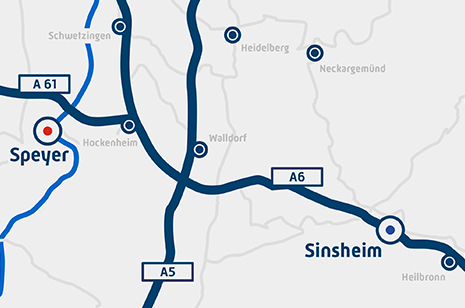 His decision to retrofit a 55 hp strong 1000 cc 4-cylinder car engine for use in a motorcycle instantaneously made Friedel Münch a pioneer of motorcycle engineering. Münch motorcycles soon became quite popular but because of the expensive individual manufacturing, Friedel Münch permanently depended on external financial support to. In 1973 the company became insolvent and the trademark rights went to the food wholesaler Heinz W. Henke. After a two year’s cooperation Henke and Münch went different ways. Whereas Henke discontinued the production of Münch motorcycles after 478 completed specimens in 1980, Münch started again to build individual bikes designed to the wishes of his customers on his own, which he sold under the brand names “Horex” and “Titan”. In 2001 Friedel Münch started his last large project together with the entrepreneur Thomas Petsch from Würzburg / Germany - a small series production of the “Mammoth 2000”. However, since the manufacturing costs of this extremely sophisticated bike greatly exceeded the planned sales price only 15 of the projected 250 specimens were completed. This top class bike with 260 hp power is a true muscle bike (top speed is electronically limited to 250 km/h). 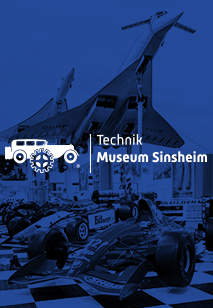 The Friedel Münch exhibition in the Technik Museum Speyer provides a unique insight into the work of this outstanding motorcycle engineer and designer. 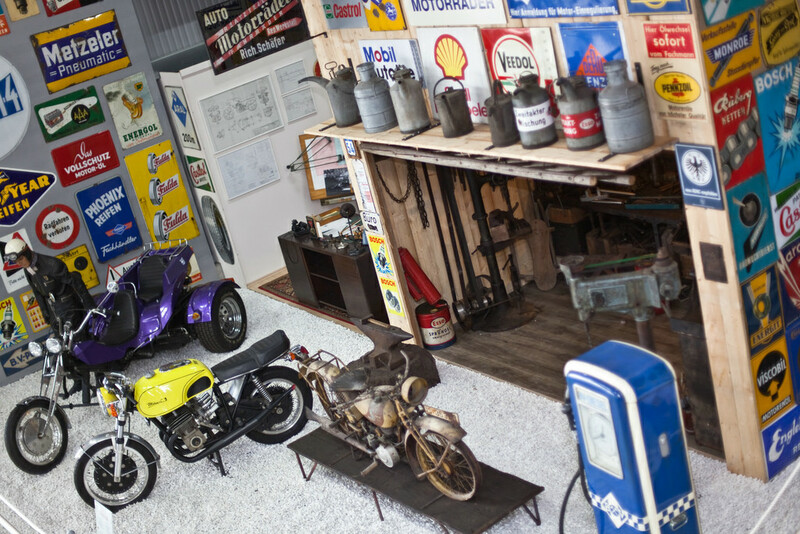 On display, amongst many other exhibits, is a specimen of the “Mammoth 2000” together with the respective prototype, about 30 motorcycle fuel tanks, all individually built to exactly fit the motorcycle and the rider, two rare rebuilds with sidecar and a Trike built of Münch parts. The museum also shows the so-called “Daytona Bomber”, a motorcycle which was designed and built to win the one hour speed record on the Daytona Beach Speedway in 1970.